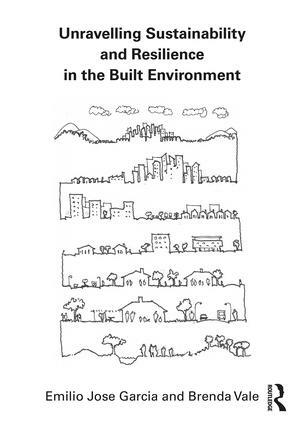 In this timely book, Emilio Jose Garcia and Brenda Vale explore what sustainability and resilience might mean when applied to the built environment. Conceived as a primer for students and professionals, it defines what the terms sustainability and resilience mean and how they are related to each other and to the design of the built environment. After discussion of the origins of the terms, these definitions are then compared and applied to case studies, including Whitehill and Bordon, UK, Tianjin Eco-city, China, and San Miguel de Tucuman, Argentina, which highlight the principles of both concepts. Essentially, the authors champion the case that sustainability in the built environment would benefit from a proper understanding of resilience. Emilio Jose Garcia, originally from Argentina, is a Lecturer in Sustainability at the School of Architecture and Planning in the University of Auckland, New Zealand. His current research is about the application of ecological resilience to the analysis of the morphology and context of urban landscapes. He is interested in the research of resilience in relationship with compactness, adaptability, and inequality in the built environment. Brenda Vale is a Professorial Research Fellow at the University of Wellington in Victoria, New Zealand. Since her first publication (with Robert Vale) in 1975, The Autonomous House, she has been an influential figure in the area of sustainability as it relates to the built environment.